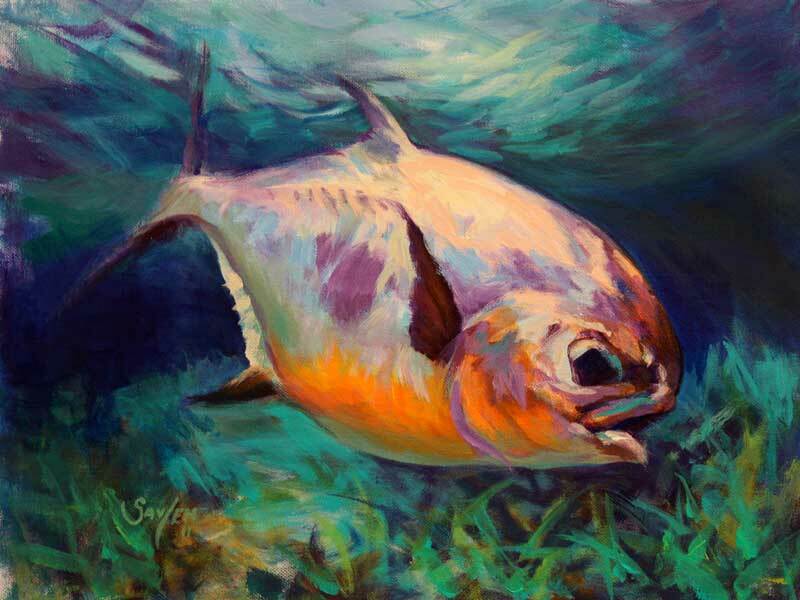 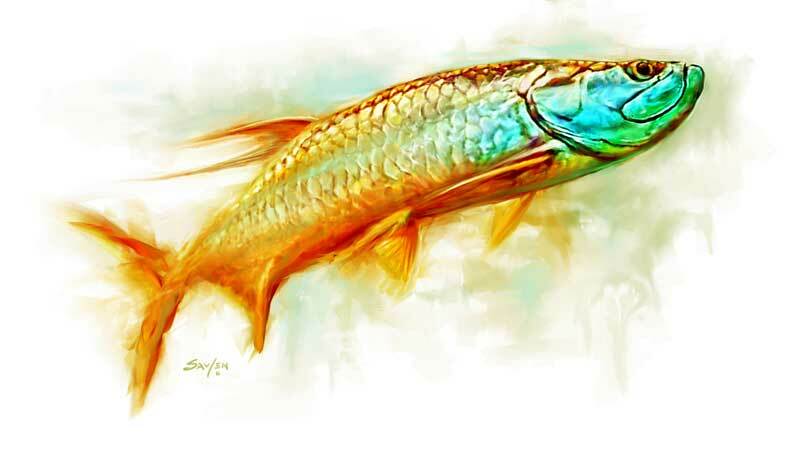 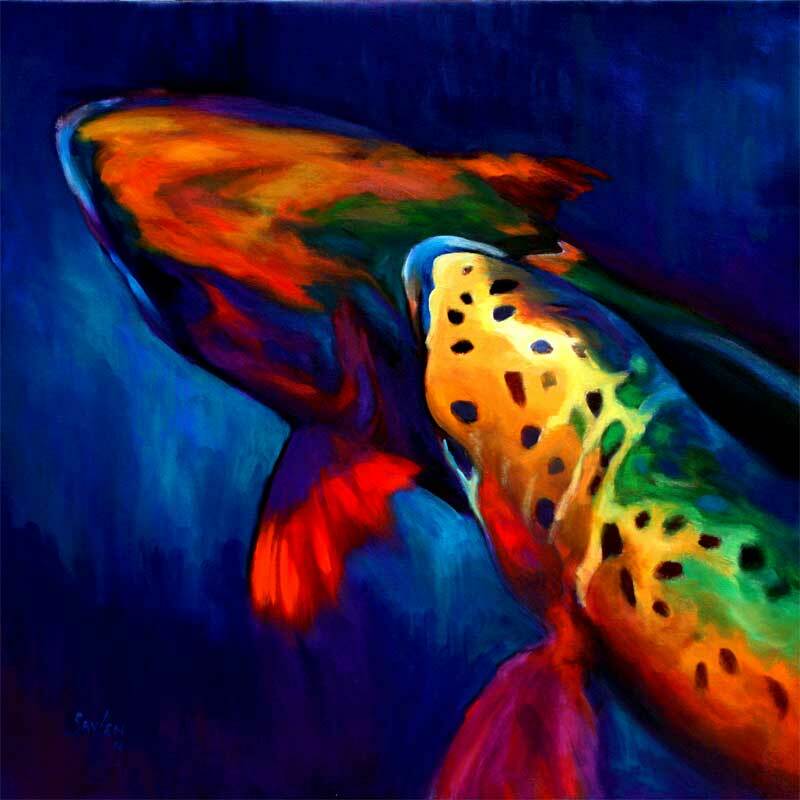 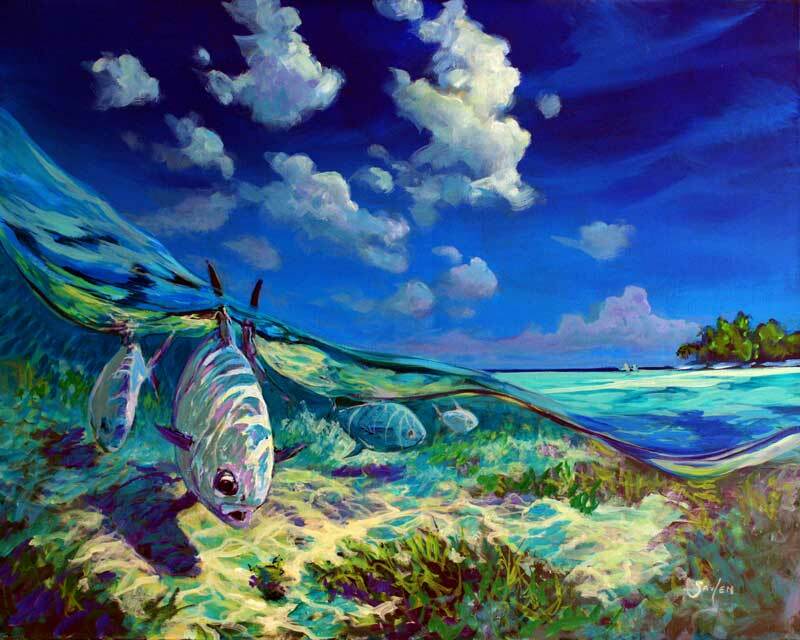 Mike Savlen‘s unique style uses brushstrokes as bold as the fish themselves and colors that represent the fluid, explosive energy they possess. 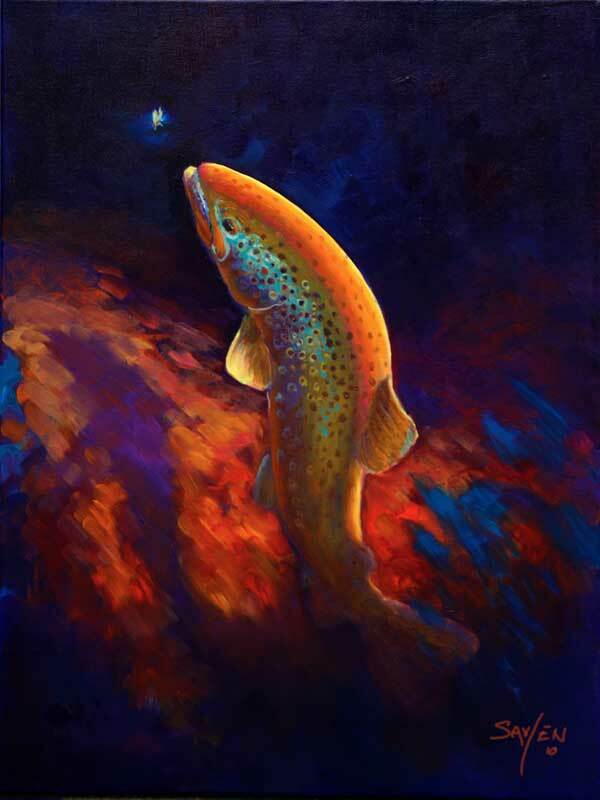 He uses as many as 50 layers of acrylic paint and washes on a single piece to create a hologram or 3d effect that makes viewers feel they can reach right into the painting and grab a fish. 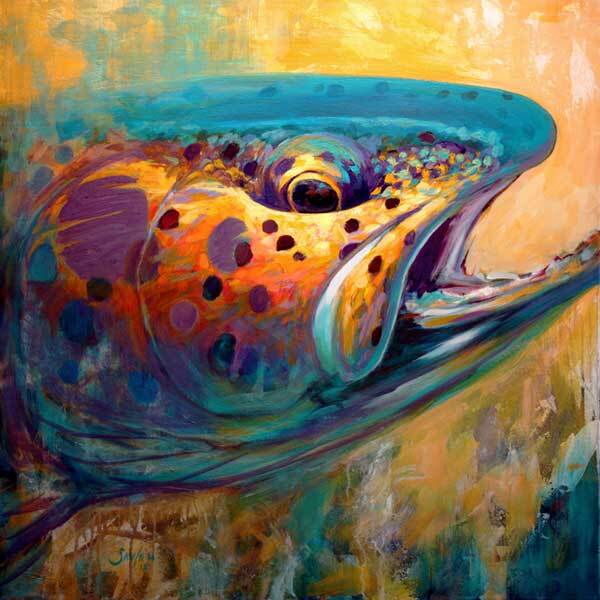 Savlen’s work is a natural expression of his inner passion for the outdoors. 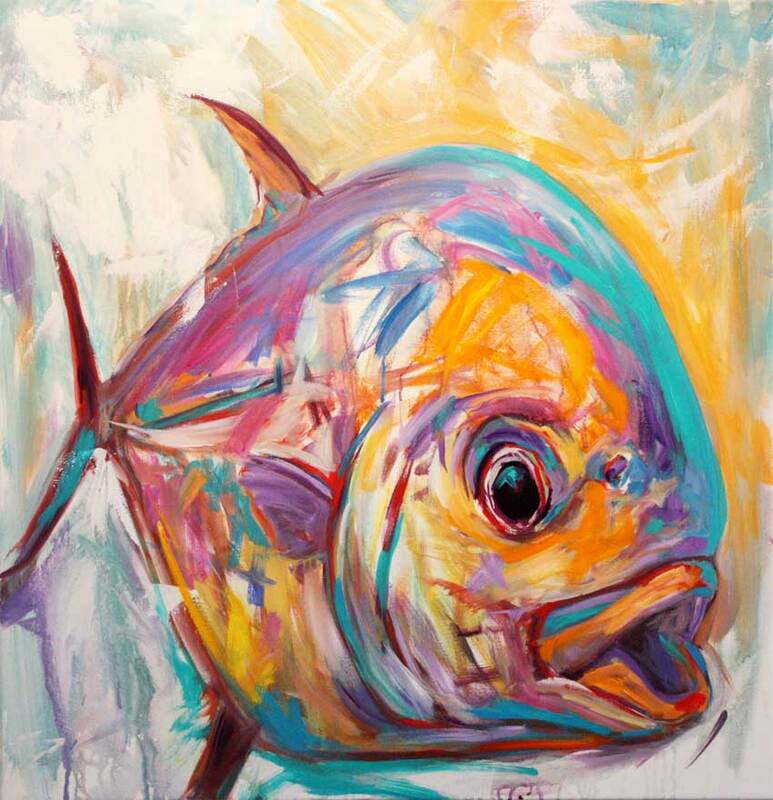 He can paint anything on anything in any medium and constantly experiments, grows and evolves as an artist. 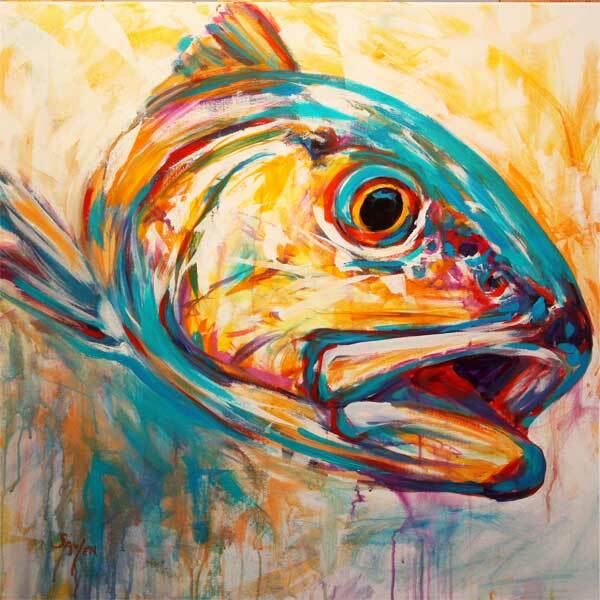 His work tends to flow between figuration and abstraction in the form of fleeting discord colors, sharp contrasts, varied brushwork and lyrical notes designed to keep the eye wandering around the canvas. 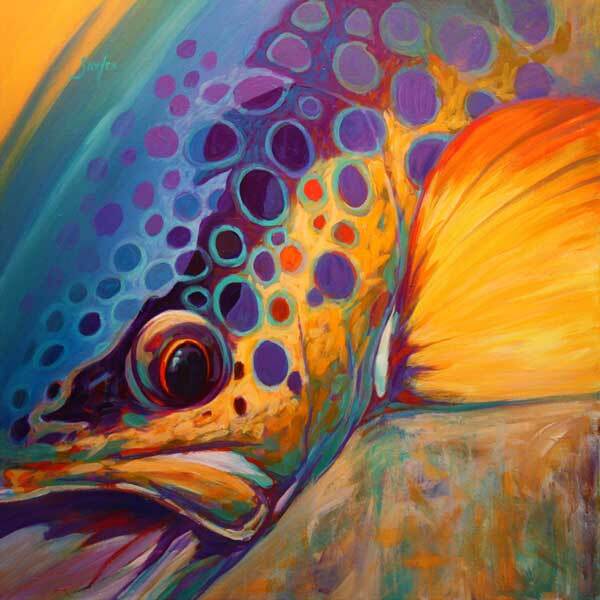 Collectors often say that they see more every time they look at one of his paintings and although his work is very different from traditional fishing art it is certainly never boring. 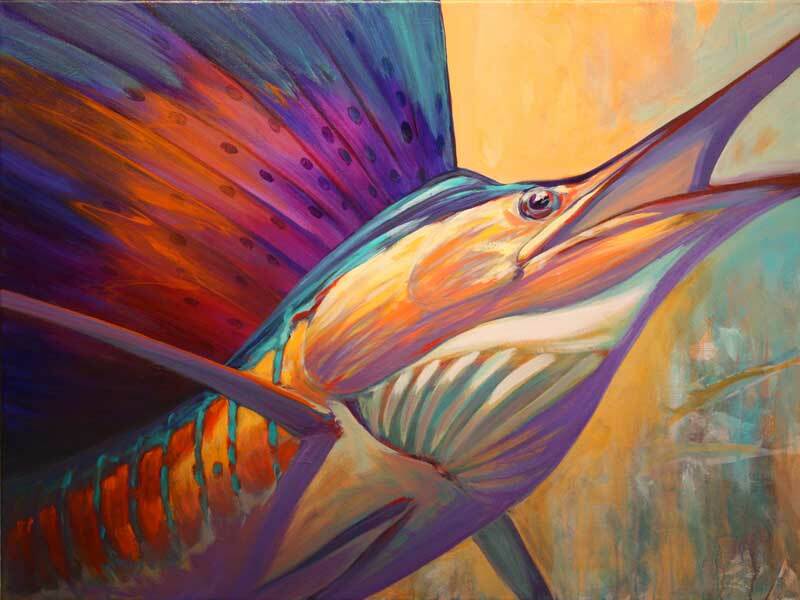 Opting for the military instead of art school allowed Savlen to cultivate a unique vision in how he portrays his subjects. 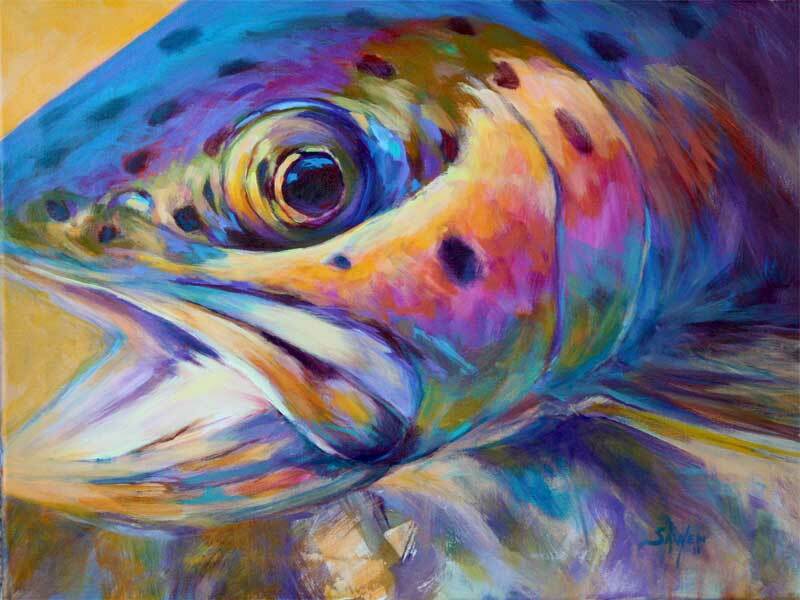 His exploration and dedication to his art are two reasons he has has been featured in most every major fishing publication and his work continues to draw new collectors from around the world.